On Sunday 12th August we celebrated Charles Mould’s 90th birthday. Charles has been the organist at St Nicholas for over ten years and his lively playing is greatly appreciated. 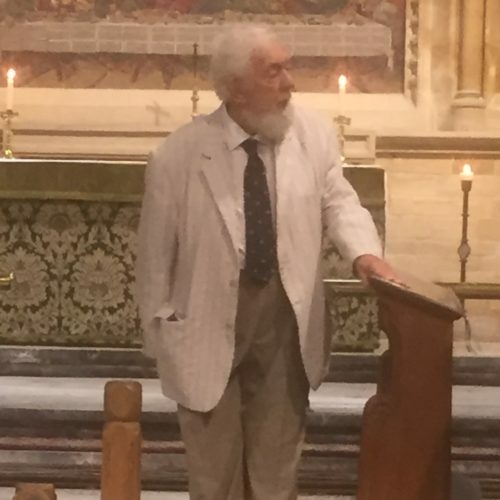 There was a small reception in the church to mark the occasion with Charles regaling the congregation with his fund of anecdotes. When not playing at Heythrop Charles can often be found in the library at Blenheim where he also plays the organ and entertains visitors.